2. It saves your time because of its user-friendliness & intuitive features, even more – you are able to create your stunning website easy & quickly with drag & drop capabilities. 3. No coding skills required – Being so easy to use, The Core’s powerful options enables users to create web pages with virtually any design without having to touch a single line of code. Child theme website – you can easily customize your websites within the child theme that allows you to make use of diverse kinds of hacks and hooks. Visual Page Builder – you can create complex pages using our special Visual Page Builder. This WP theme is giving you the possibility to create stunning websites without coding at all. How is it possible? Being fully integrated with drag & drop builder and providing a huge amount of specific case shortcodes! Retina ready – our multipurpose theme is optimized for Hi-Res retina displays. Fully responsive – it works great on mobile devices, tablets, and desktop devices. This only feature being important for the SEO part just as much as for usability – the search engines pay more and more attention to mobile friendliness. Demo content install – websites templates can be installed within one click and you can preview each of them through Live Demo. 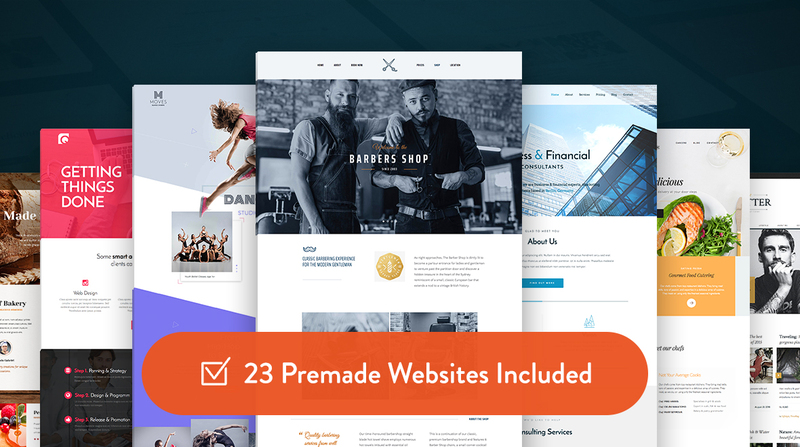 You can use whatever demo you like (till now we’ve got 20 different stunning web templates, covering nice niches like traveling, restaurant, hotel, wedding thematic and much more), in order to create your new website easy and quick. The Core can save so much of your precious time. Multiple Sliders included – Layers Slider, Slider Revolution, and custom-build sliders. You have a nice opportunity to create sliders with call-to-action buttons and some interactive information. Even some sliders with cool video players. Color schemes, with the 5 color palette option – you can perform specific color changes as easy as it sounds. We know that a good color scheme choice can make the difference, that’s why we come with a suggestion with a general scheme of 5 fully complementary colors, however – you can change them all as often as you like by using simple color pickers. With The Core, you get just unlimited color palette options. It is built on the Unyson framework – that provides the user with the access to a plenty of customization tools and special features. Not enough? We keep creating some new ones for you. That means that buying this only theme, you get access to new designs and new shortcodes all the time – as they come free of charge! Mega Menu – now you are able to design creative user-friendly, highly customizable drop-down menus in seconds. Woo-Commerce ready – WooCommerce plugin (with stylish page templates from the product listing to check out) is perfectly integrated, so you can start selling your products today. Events – you can display upcoming events with a clean & gorgeous built-in calendar. Translation ready – got an international website? Our WP Theme supports the popular WPML plugin (multilingual WordPress setup). SEO ready – contains custom built SEO extension. Is ideal for optimizing your website: you can customize meta tags, write characteristic meta descriptions and titles for each page, you can also optimize your URLs & maintain a good website speed. Typography and over 700 Google fonts included – As your creativity has no limits, neither our multipurpose theme has them – choose whatever font or style you like. Test whatever converts! Contact form builder – simply, easy to use and intuitive drag & drop options give you the possibility to create any contact form you need. Portfolio – you can display your services, projects or any other masterpieces in a portfolio, here we come with multiple types from which you can choose – 2, 3 or 4 columns, different types of portfolio blocks display and the opportunity to add specific & well-chosen icons to each category. Parallax effect available for sections – beautiful and powerful effect full of joy and animation, that will liven your webpage & get it more interactive! Customizable footer – with the social icon and widget area. Our stunning footer is ready to adapt to both a lot of information integration and a minimalistic approach. Social icon options – being available in both footer and header area, they give to you the opportunity to be closer to your audience with a huge amount of different buttons that gives you the possibility to choose a cherished option or to test which of them do better the conversion job. Animations – now you can easily impress your visitors by adding animations exactly on website pages. With The Core multipurpose WP template being cool and interactive will come so easy and natural to you!